Have others seen pictures like this circulating their Facebook feeds? The people circulating these photos are ignoring why stories gain traction in the mainstream media and specifically, how and what led to Trayvon’s case gaining traction. 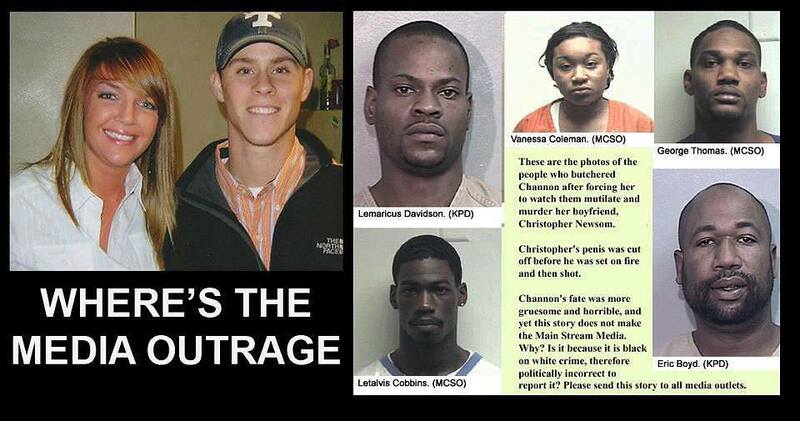 First and foremost, the mainstream media was ignoring the Trayvon case. Only local media had picked up on it and the Internet generally had stories of it going around, as well as a petition to arrest Zimmerman. Which brings me to the second point, for well over a month after Trayvon’s death, Zimmerman was a free man. He hadn’t been charged with a crime. That’s where the whole, “Justice for Trayvon,” slogan originated. The cases above, while quite obviously horrific and offense to human decency, are different in that the suspects were arrested, charged and will, if convicted, face prison time. So, to people following the situation from the beginning, it was quite obvious why the story gained traction and led to this perfect storm of media attention: there seemed to be a lack of mainstream media attention early on about what seemed like a grave injustice. 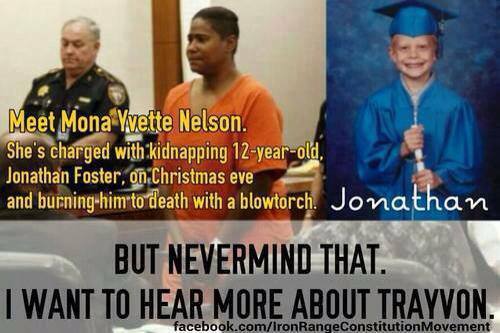 Take those two elements and add in the racial component and again, it’s obvious why this story blew up. There is something to be said about media sensationalism, public overreach negating “innocent until proven guilty” and all that jazz, but the above pictures ignore the complexities of why some stories are bigger than others. It’s just how it is. Not all stories are created equal.